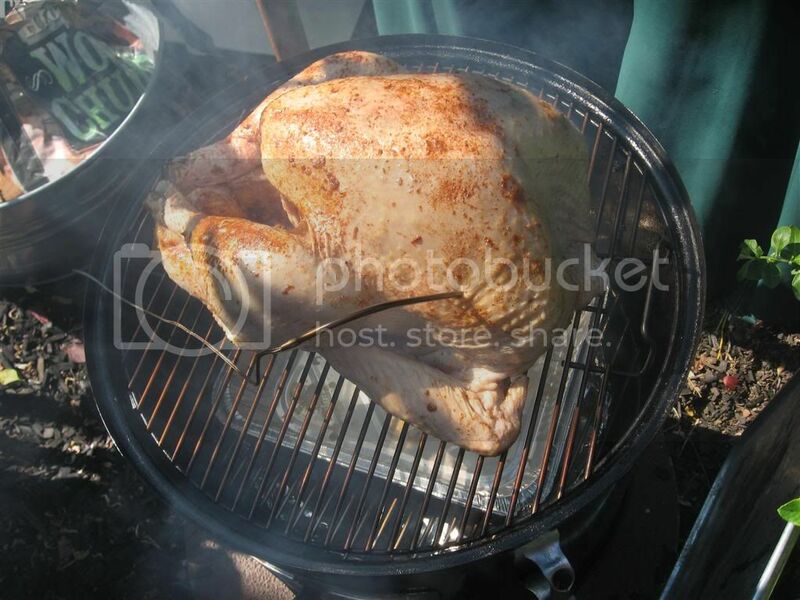 Finally got around to smoking another Turkey in the WSM (Weber Smokey Mountain) cooker. 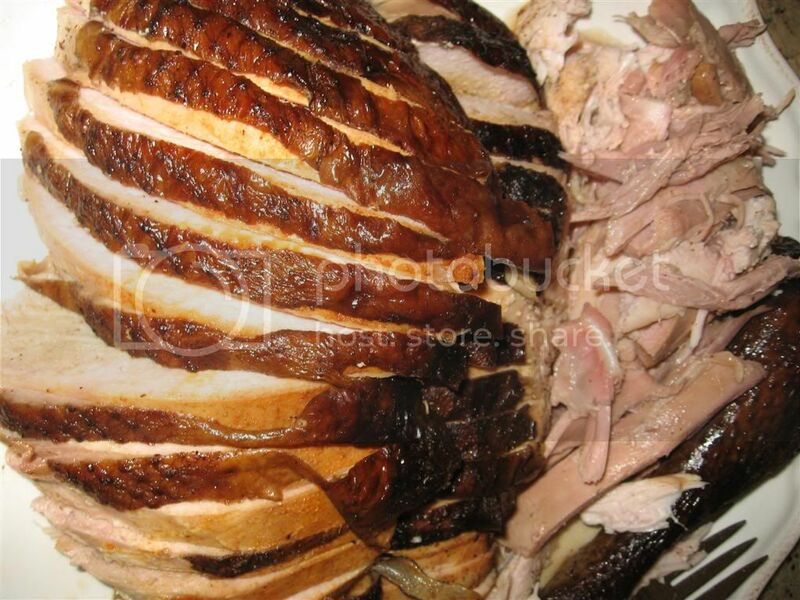 The last Turkey that I smoked was last year, during thanksgiving where I did a total of two in the smoker. And we did a traditional oven cooked Turkey for a total of three. Following the injection I next added BBQ rub both over the entire Turkey and under the skin near the breast. The first rub was one of my own from another cook and the second was a light sprinkling of Tony Chachere’s which is a very salty rub, so I used it sparingly. The Turkey was then returned to the fridge as I got the WSM ready. Foiled empty water pan, and an empty aluminum disposable pan to catch drippings and to hold turkey trimmings. The Turkey was then added to the top grate on the WSM and during this windy day the somewhat protected WSM was hovering around 300° with 1 vent off and 2 others at 50% open. I was using a Maverick remote temperature probe that was placed in the thicker part of the Turkey breast with the alarm set to notify at 160° internal. 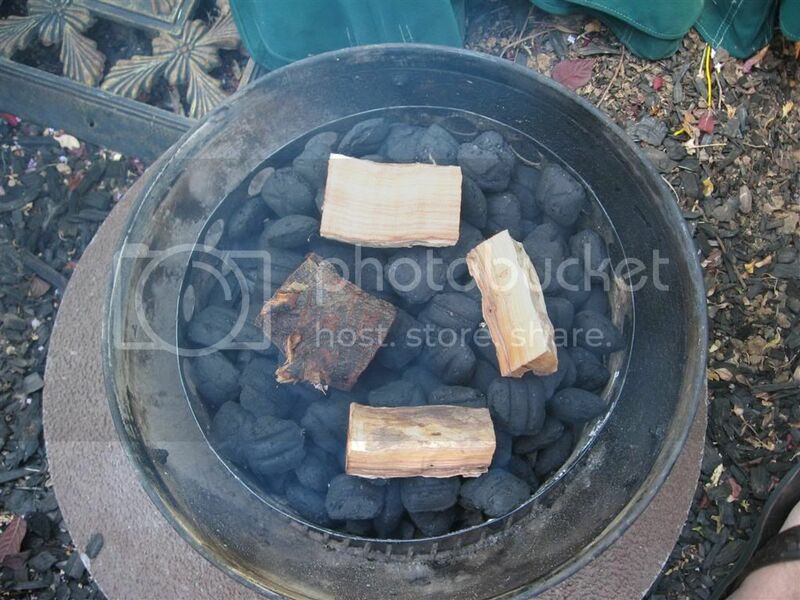 The entire cook was completed in 3 hours, a little faster then needed as the guests were arriving later then anticipated. So the Turkey was removed when the breast was in between 164°-170° and then it was wrapped snuggly in aluminum foil and placed in a cooler with two larger towels above and below to maintain heat. It held it’s heat pretty well considering after we had worked all the appetizers and various other treats we finally got around to having our larger meal. 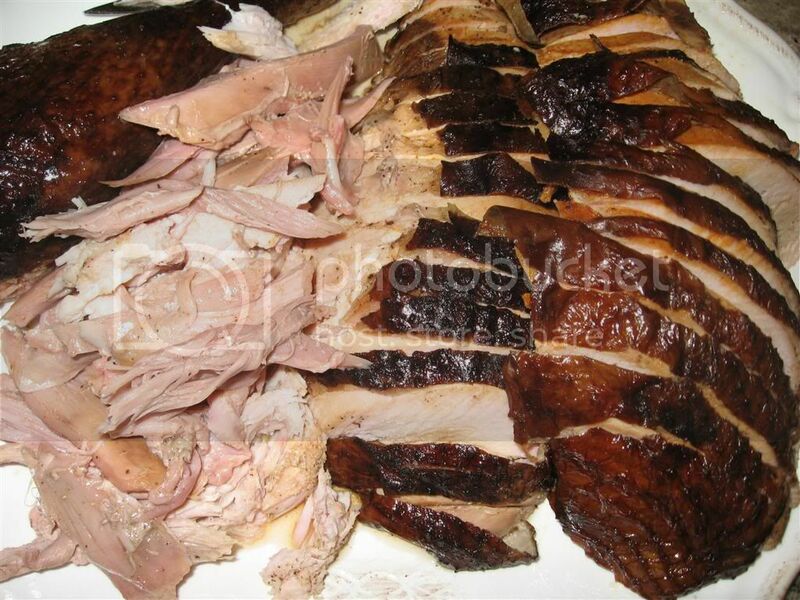 After 4 hours the Turkey was still hot but could be carefully handled without burning when trimming. Other meal items prepared where 10lbs Russet potatoes with additional Yams added then lightly mashed with butter, pepper, salt, granulated garlic. The gravy was comprised on the Turkey giblets and the drippings from the pan that was underneath the Turkey in the smoker. The drippings were very salty as expected mostly due to the Tony Chachere’s rub I placed liberally in the body cavity. Also in the gravy were the pan leftovers from the ABT’s (stuffed jalapeños) that were cooked in the oven so there was a lot of charred goodness from that. Cornbread that was cooked in the oven and had additional jalapeños and green onions added. 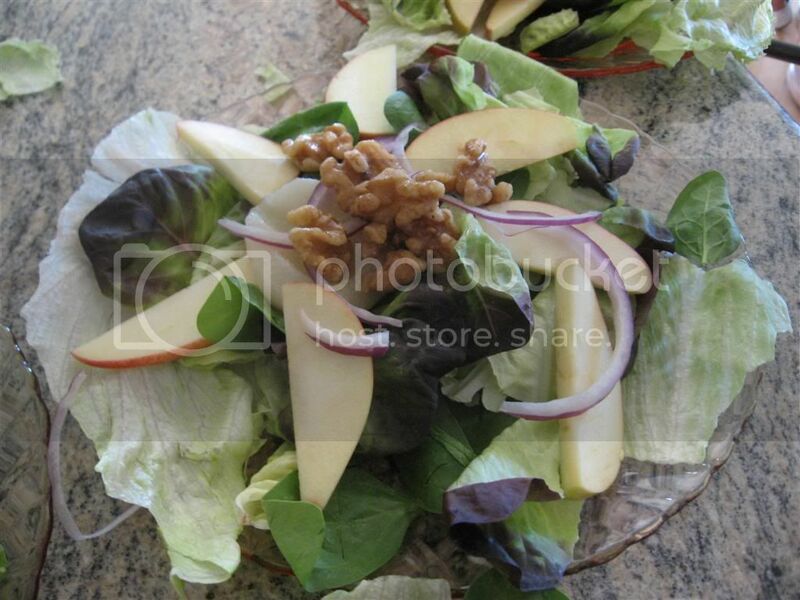 A side salad with mixed greens, apples, walnuts, red onions and a raspberry vinaigrette. 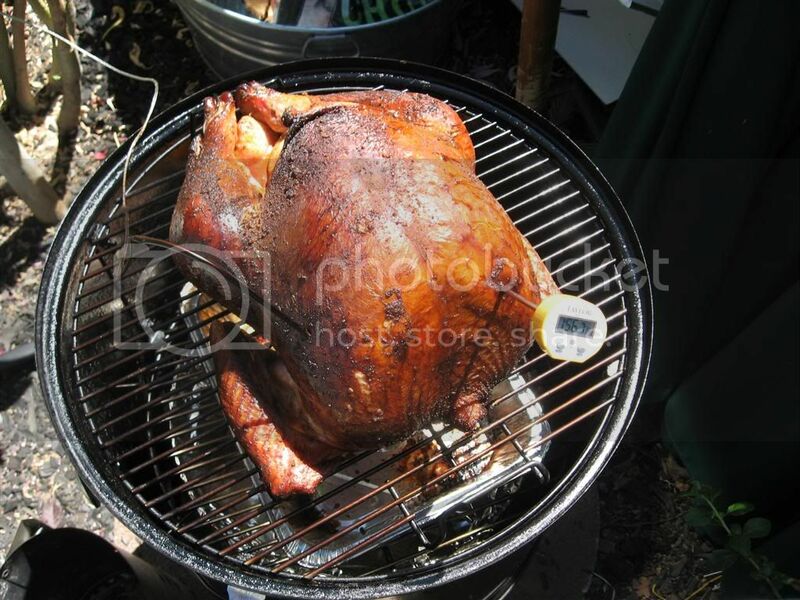 This entry was posted in BBQ and tagged BBQ, food, smoker, turkey, Weber, WSM on September 7, 2009 by Jasonweb.